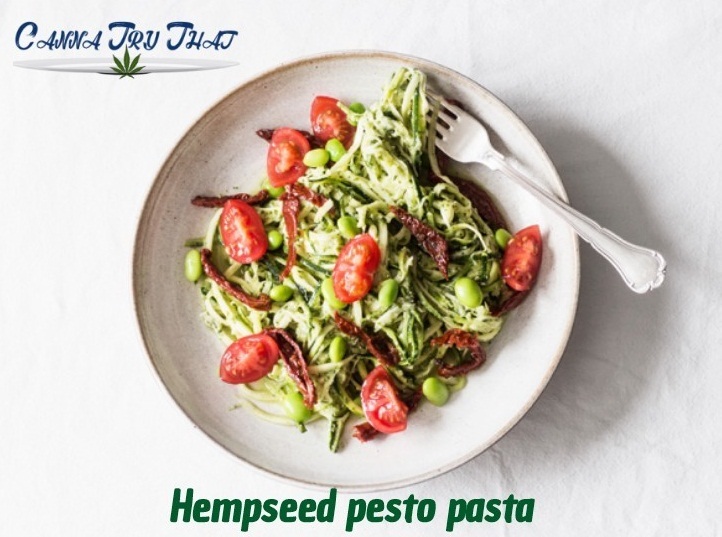 Basil and hemp are not only potent superfoods but go well together and taste delicious. Follow this simple recipe to make a sauce that everybody can enjoy. Not only is it delicious and nutritious but it is incredibly easy to make. There are really only two steps to this simple process. Place the hemp seeds, garlic and basil into the food processor which is fitted with an S blade. Pulse around 8 times or so, in order to break down the basil. Next add the remaining ingredients. Process the mixture until smooth and add some extra virgin olive oil if you desire. You can simply add this presto to your pasta or the dish of your fancy, sure to impress all of your friends. Enjoy!